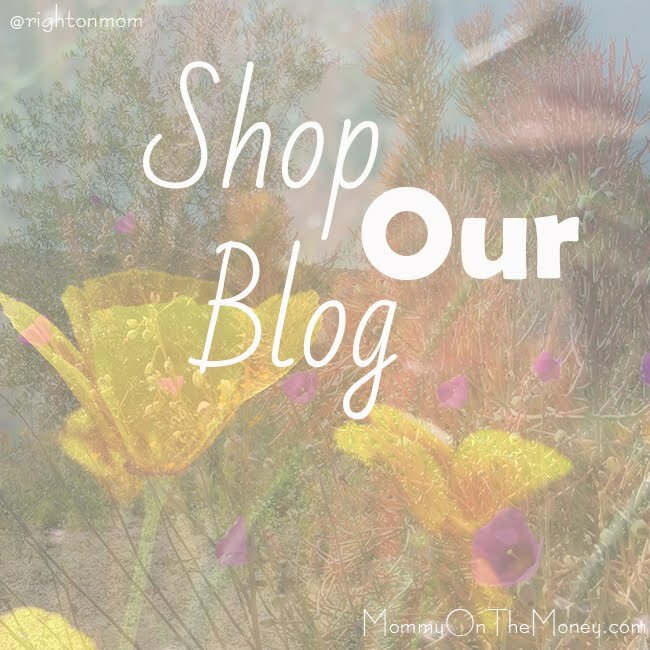 * ALL PHOTOS BELONG TO BLOG OWNER. PLEASE CONTACT IF YOU WISH TO USE. 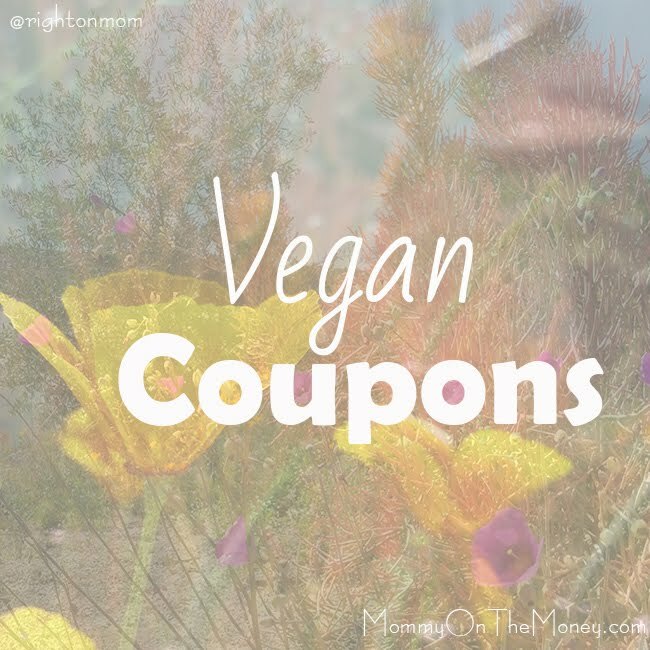 * I'm am updating this post because I haven't gotten around to making a vegan version of one of these but I think it is totally possible and I intend to do it at some point. We used to eat dairy cheese and that is what these lasagnas are made out of. After researching the dairy industry, I found that there was an even scarier amount of cruelty than in these lasagnas' faces. Please consider making these and all your lasagnas with plant based cheeses like Follow Your Heart Mozzarella, Miyoko's Vegan Mozz, Daiya, or make your own with our recipe! 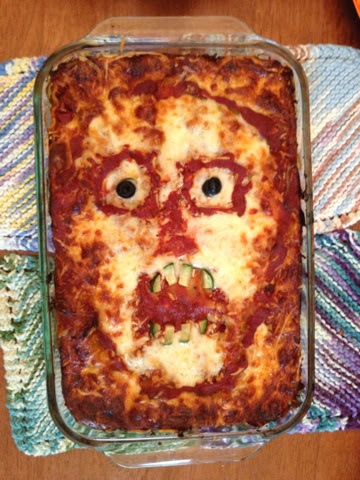 I finally got to cook my scary frozen lasagnas for a little going away party shindig we had at the pad last night! 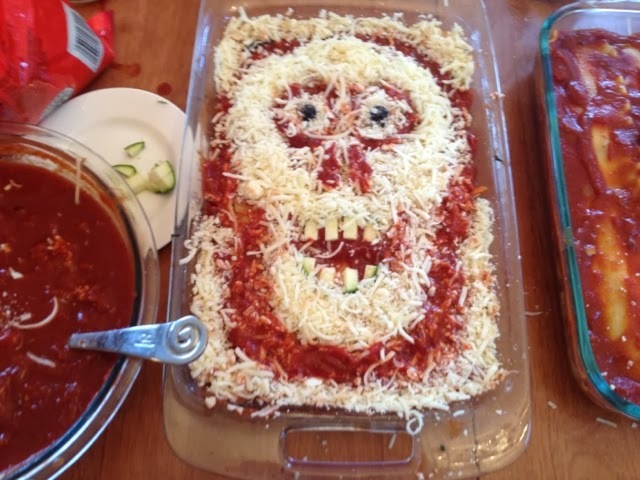 I couldn't wait to see how the skull lasagnas cooked up! I'm super happy with how they turned out. I made a scary guy and a goofy skull face guy. 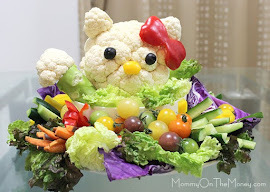 There's something about food with a face that creeps me out... maybe that's why I'm a vegetarian! These were the perfect main course for our little Halloween theme get together. Here is the lasagna when we made it a couple weeks ago, prior to freezing. 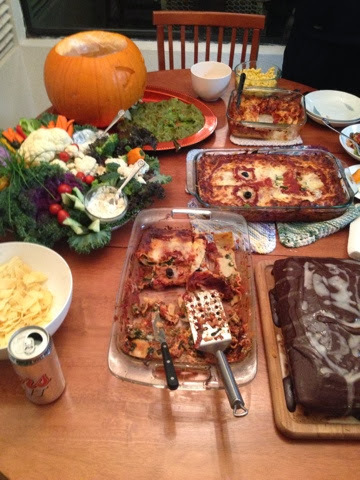 We made three different lasagnas, and had one for a little dinner party that time. Once again, everyone LOVED our lasagna. We also had manicotti because our guest of honor doesn't really like veggies and usually picks them out. The manicotti were made and frozen the same time we made the lasagnas and they cooked up perfecly, too! 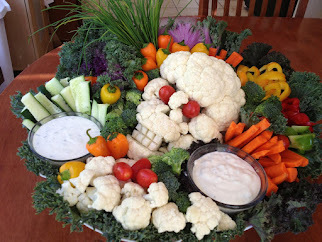 If you like the Skull Veggie Platter, you can check that out, HERE. 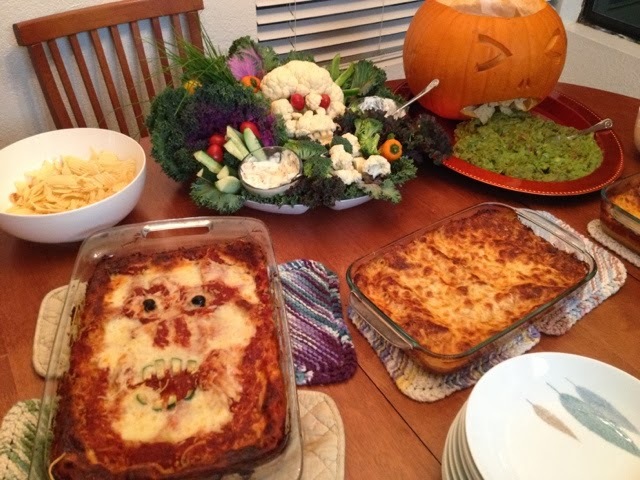 Also, see My ORIGINAL Halloween Lasagna post. This one has the Voodoo Doll Lasagna and shows a little more of how I made them. And here's all my Halloween Food posts. 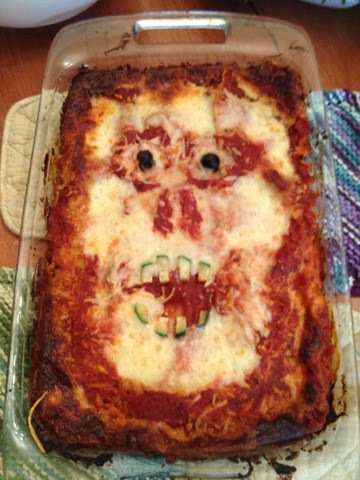 i love the originally displayed in your lasagna- very realistic. Also, I think the guacamole vomit looks delicious. 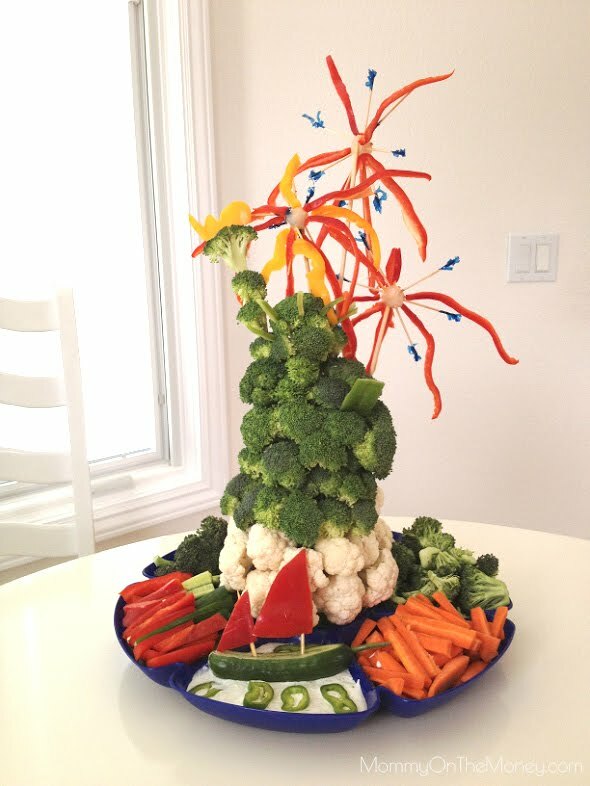 Anyone who can pull-off a food with such a Halloween flair certainly deserves a---Happy Halloween! Wow, very cool! I'm glad I saw this now before Halloween. Will tell my daughter, my grandkids would love this lasagna for dinner. Very creative and scary! Love it! That actually is frightening! Cool Halloween meal idea. Very creative and fun ideas. 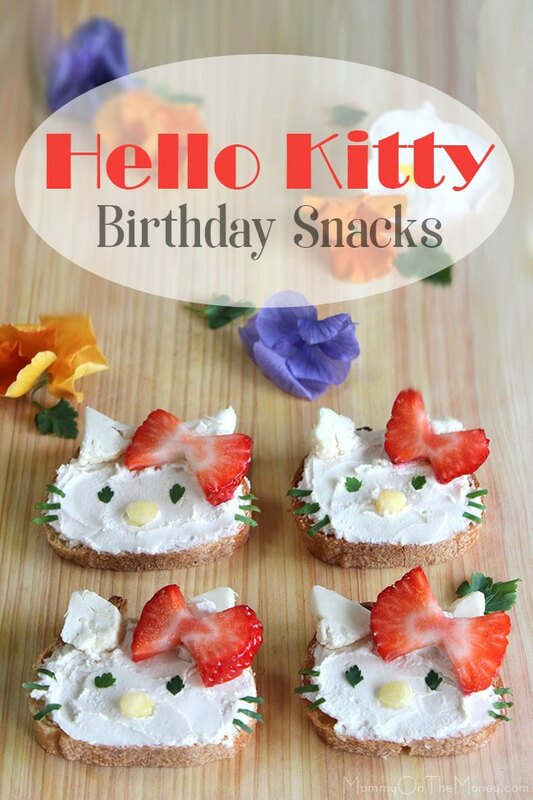 Food with a face is a little off putting but these lasagnas are super cute. Thanks for sharing. 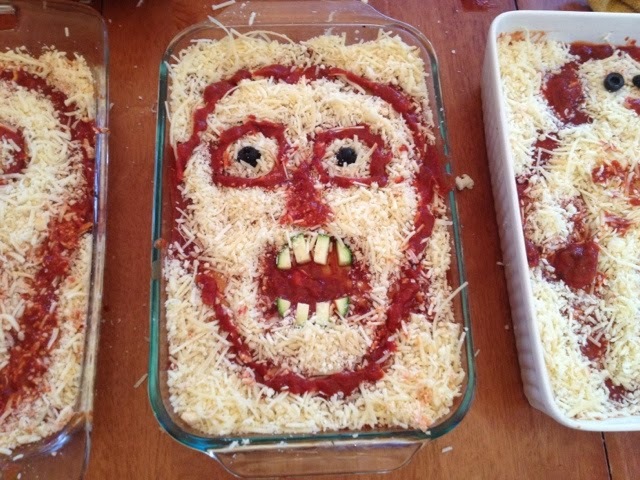 I am always looking for great recipes to make for dinner on Halloween and this is a great one. The kids will love it. This is creepy but pretty cool. I wonder if my wife would make this. 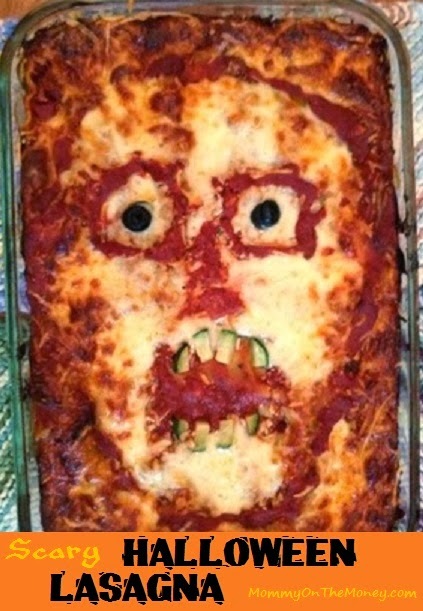 I'm definitely going to make this lasagna next Halloween. Thanks for the idea! How fun! I love it! 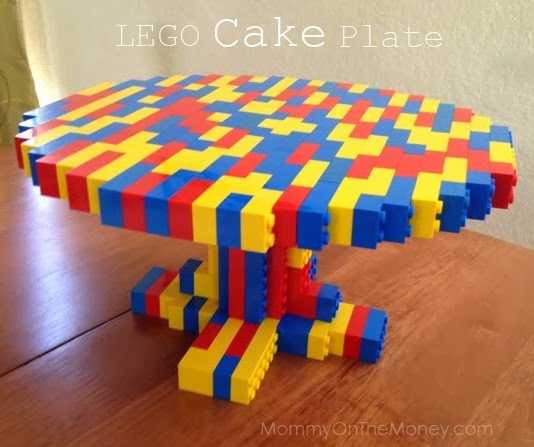 It would be neat to make this for my nephews. They would get a kick out of it. This is so cool. My family loves lasagna. I'm going so surprise them next Halloween and make this. Very creepy but looks awesome, definitely have to try this next Halloween!! I am so doing this, this year for Halloween! Great idea! Awesome idea! 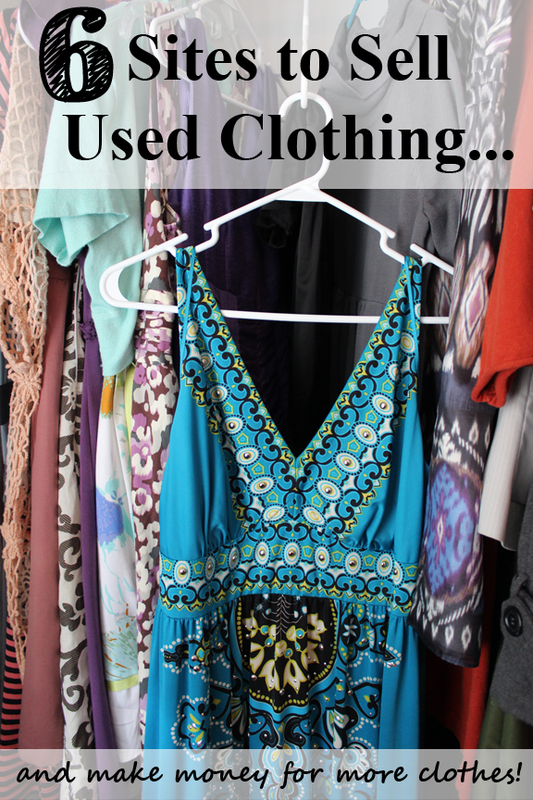 Had to share on my Pinterest and Facebook pages! Hope you don't mind! 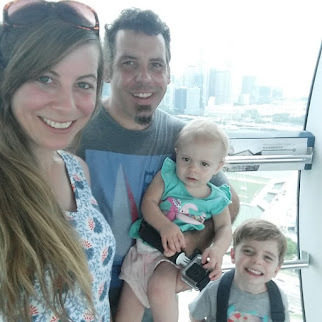 https://www.pinterest.com/LetsGetUglyNow Fantastic idea! LOVE! 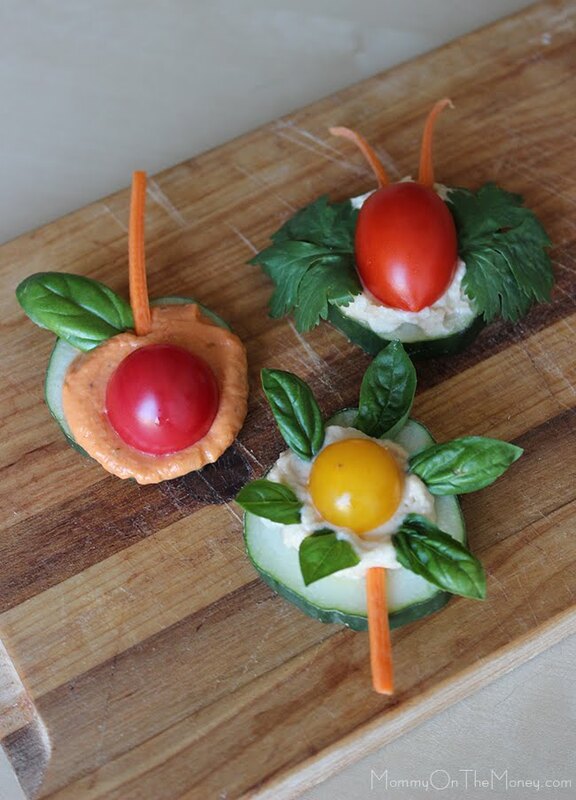 This is such an amazing idea, it looks so cool after the cheese melts :) ! I love this and I'm going to make it! Thank you.